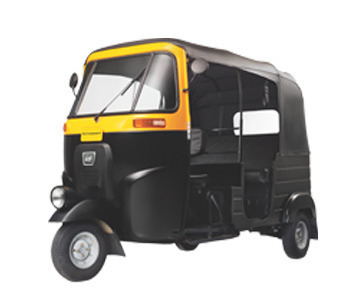 We are a leading Exporter of bajaj three wheelers, re 2s three wheelers and re 4s three wheelers from Mumbai, India. 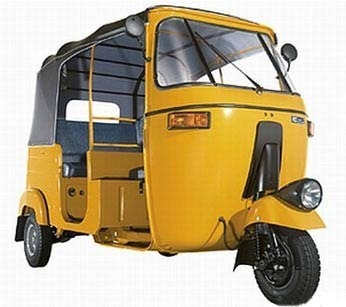 Bajaj Three wheelers are extensively used as commercial vehicles and carries goods or passengers. They have b-fuel engine, working either on LPG or CNG and petrol. The anti-dive front suspension and TMC brake system makes these vehicles highly demanded in the market. These are provided with remote location oil pumps drive and gas filling extracted from clutch shaft. Our range of vehicles is safe to ride and very environmental friendly. The RE 2S has anti-dive front suspension and TMC brake system to make driving easier and safer on the roads. These vehicles come along with stylish tell-tale indicator on the dash board, powerful 100 watts magneto and petrol mode is also provided. The vehicle produce very less noise while diving tendency and breaking and provides more driving comfort on rough roads. RE 4S three wheeler has electric starter & hand level along with powerful 7 plate wet clutch and positive lubrication for clutch plate. With strong & sturdy chassis and detachable catalytic converter is provided in the slicer. These vehicles ensure easy start, better power transmission and maximum loading capacity. Our range provides complete comfort to passengers and increases the life of engine parts by new clean air intake system. The vehicle has independently sprung rear wheel by trailing arm amid helical coil and double acting shock absorber. 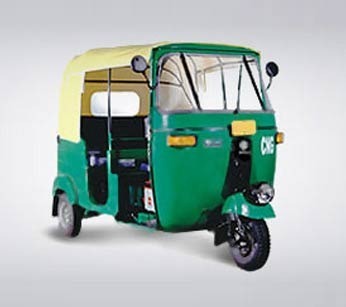 Looking for “Bajaj Three Wheelers”?